This recipe is nice and simple but full of flavor. 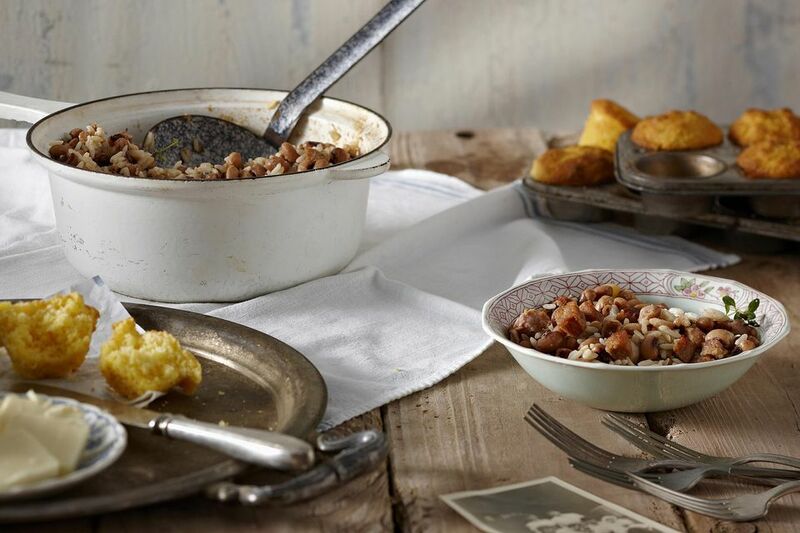 Use ham hocks or hog jowl in this basic black-eyed pea recipe, also known as Hoppin' John. Pick over the peas and rinse well, then soak in cold water overnight. Place ham hocks, ham bone, or hog jowl in a large kettle with water to cover. Bring the peas to a boil and cook for 1 1/2 hours. Drain peas and add to the hog jowl. Add the chopped onion, crushed red pepper, sugar, and salt. Add more water if needed to cover peas. Cover tightly and simmer the peas gently for 2 hours, or until the peas are tender. Serve with hot cooked rice and cornbread.